Facebook has introduced ‘Diwali Stories’ for users in India, the company said in a blog post. Through this option, users can choose to share their favourite moments of the Diwali with their friends and family. Facebook Diwali Stories will be available through out November 7, which is today, and will only be available in English. Indian Facebook users will find the ‘Share your Stories this Diwali’ post at the top of their News Feed after their first login on November 7. 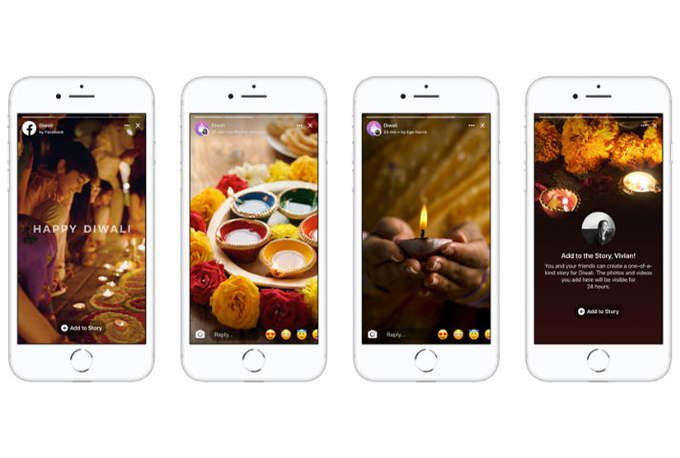 The ‘Stories’ icon appears over the News Feed, and users can choose from photo, video, Boomerang mode and Live video mode to share their Diwali experiences. Other effects available with this mode include masks, frames and interactive filters, that can be added onto photos as well as videos in real time. Facebook users can choose to create separate Diwali Stories and personal Stories, or merge both into one Story. This means the content they upload onto Stories will be considered a Diwali Story by default, unless they choose to make it a personal Story as well. The platform will also send direct messages that link to Diwali Stories from close friends, though the feature will be limited to users in India.